Between Logic and the World presents a theory of generic sentences and the kind-directed modes of thought they express. The theory closely integrates compositional semantics with metaphysics to solve the problem that generics pose: what do generics mean? Generic sentences are extremely simple, yet if there are patterns to be discerned in terms of which are true and which are false, these patterns are subtle and complex. Ravens are black, lions have manes, sea-turtles are long-lived, and bishops in chess move along diagonals. Statistical measures cannot do justice to the facts, but what else is there that at least has a hope of giving us insight into what we are capturing across so many domains? Bernhard Nickel argues that generics are the top of a fundamentally explanatory iceberg. By focusing on blackness in ravens and manes in lions, for instance, we can place the kinds into a framework structured by explanatory considerations. 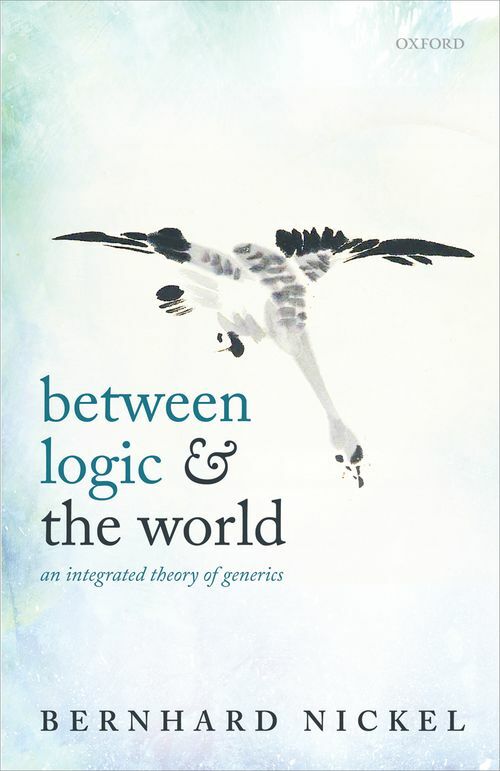 Between Logic and the World argues that this explanatory framework is deeply intertwined with the semantics of the language we use to express them, and in giving its integrated semantic and metaphysical theory of generics, it aims to solve old puzzles and draw attention to new phenomena. Bernhard Nickel is Professor of Philosophy at Harvard University. His research interests lie in the philosophy of language and linguistics.